As if the low wages Walmart’s associates make weren’t bad enough, it turns out the mega-retailer is also failing to abide by federal sick-leave law. According to labor advocates, the company’s strict “point system” for regulating workers’ schedules is penalizing people for getting sick or caring for their family’s health—even when the law entitles them to leave time. A new report reveals that workers subjected to Walmart’s harsh scheduling rules fear their supervisors’ cold calculations are discounting the value of the health of loved ones, as they are consistently denied time off to care for family in times of need. Workers have reported being arbitrarily denied their right to take time off for family health needs, and even punished for missing work for a medical emergency. According to a voluntary online survey of some 1,000 workers, nearly eight in 10 said they had been “punished” by management for an emergency medical absence. Under Walmart’s disciplinary system, workers rack up points for missed work time under a “three strikes you’re out” policy, according to the advocacy group that led the survey, A Better Balance (ABB). When they end up getting “pointed out” for the time off that they must take to deal with family health crises, workers end up having to choose between risking their jobs or risking their family’s health—often while struggling to earn enough to cover basic health-care needs. ABB says Walmart is ignoring the Clinton-era Family and Medical Leave Act, which guarantees long-term workers at medium-sized firms up to 12 weeks of unpaid time off for self-care or family care. Though it offers no supplementary wages, it’s the bare-minimum protection against arbitrary firing for a medical condition. 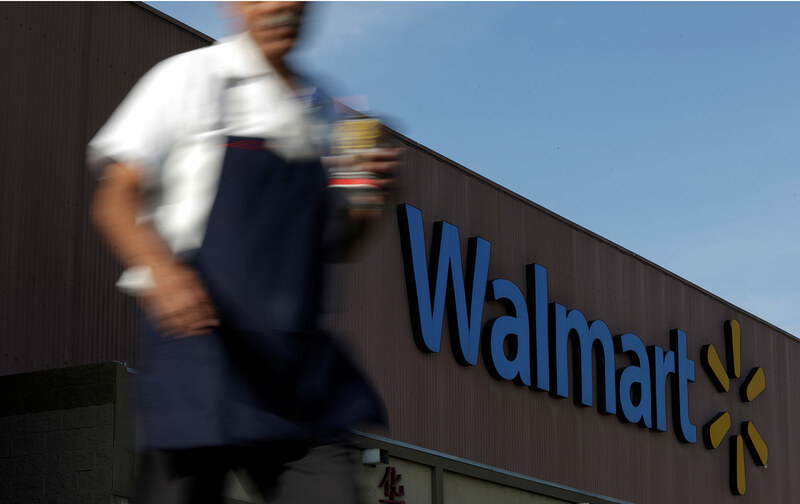 Walmart’s cheap-and-fast business model, however, uses disciplinary points to enforce a de facto “zero tolerance” policy on workers’ health and caregiving needs, and, according to ABB’s research, consistently violates the law’s requirement that employers proactively inform workers of their rights under the FMLA. Most workers surveyed said they had not even been informed about their right to unpaid time off, despite explaining their medical situations to management. Citing numerous reports of Walmart management’s ignoring workers’ medical documentation, ABB argued, as a matter of due diligence, that “Walmart’s policy and practice of refusing to consider doctors’ notes, and telling employees that medical issues are no ‘excuse’ for absences, prevent it from identifying and properly classifying absences that are protected under the FMLA.” Walmart might also be violating the Americans with Disabilities Act and state-level protections for pregnant workers, which guarantee workers’ right to request reasonable accommodations for disability or pregnancy issues. Though employers can deny time off under these laws for business reasons, ABB notes that “Employers cannot claim something is an undue hardship just because it causes some expense or inconvenience,” unless they can prove the request was “unreasonable” in relation to the damage to the company—not likely when a single shelf-stocker has to skip a nightshift to nurse a sick infant. Walmart, which has not responded to an inquiry from The Nation, has publicly denied charges of violating the right to medical leave, insisting that it provides appropriate channels for workers to request necessary unpaid or paid leave. To many workers, however, Walmart’s attitude toward the right to medical leave reflects a pattern of treating them as disposable goods. Such policies run counter to a recent wave of reforms in workplace policy. Over the past decade, legislation for paid sick days, which protects both job security and wages, has passed or is pending in seven states and more than 30 localities. And while 41 million workers nationwide still lack any form of guaranteed paid leave time, a few states offer blanket coverage for paid family leave and progressive lawmakers are pushing similar legislation in Congress. For Texas Walmart associate Brittany, the conflict between Walmart’s rules and her caregiving duties got resolved in a more painful way. Walmart workers have been fighting for scheduling-policy reforms through lawsuits, labor complaints, and extensive online campaigns, aiming to shame the retail giant for putting profits over workers’ health. But, personally, Brittany isn’t interested in litigating her own case so much as making sure no other worker has to suffer the same ordeal—her wife, also a Walmart worker, is now going through the same struggle trying to care for her ailing mother.